Violinist Bomsori Kim is today’s featured performer, accompanied by ChangYong Shin. 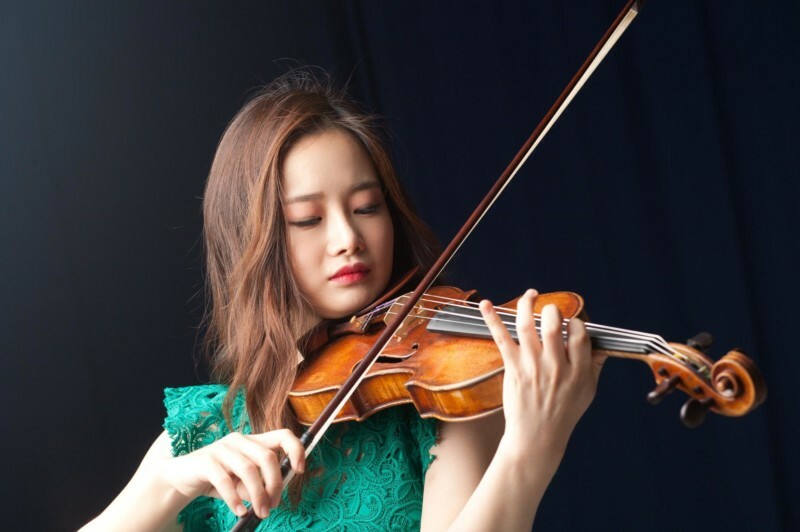 Winner of the 62nd ARD International Music Competition, Bomsori Kim has established herself as part of an emerging generation of internationally recognized violinists. She gained attention in 2010 as the youngest prizewinner of the 4th Sendai International Music Competition, which led to an internationally acclaimed concert debut in 2010. More recent accolades include Second Prize and Radio-Canada’s People’s Choice Award in the 2016 Montreal International Musical Competition. As a soloist, Bomsori has appeared at numerous venues worldwide, such as the Musikverein in Vienna, Tchaikovsky Hall in Moscow, Philharmonic Hall in St. Petersburg, Slovak Radio Concert Hall in Bratislava, Finlandia Hall in Helsinki, the Herkulessaal and the Prinzregententheater in Munich, Berlin Philharmonic Chamber Hall, Smetana Hall in Prague, and Seoul Arts Center Concert Hall. A native of South Korea, Bomsori is a graduate of Seoul National University, where she studied with Young Uck Kim. She also earned her Master of Music Degree at The Juilliard School, where she is currently pursuing her Artist Diploma, as a full-scholarship student of Sylvia Rosenberg and Ronald Copes. Korean pianist ChangYoung Shin is a 1st Prize Winner of both the Seoul International Music Competition and the 2016 Hilton Head International Piano Competition, and was awarded the silver medal at the Grand Prix Animato International Piano Competition. Mr. Shin has performed in prestigious venues around the world including two solo recitals and a master class at the Green Lake Festival of Music in Summer 2017, as well as performances at Salle Cortot in Paris, in Prague, China and London. He recently recorded his first CD with the Steinway & Sons label. Until 2011, Mr. Shin studied with Choong-Mo Kang at the Korea National Institute for the Gifted in Arts and Mari Kwon while a student at Yewon School. He received his Bachelor of Music and was awarded the Paul G. Mechlin Scholarship from the Curtis Institute of Music in May 2016, where he studied with Robert McDonald. Mr. Shin is continuing his studies with Mr. McDonald in the Masters program at The Juilliard School on a full scholarship.